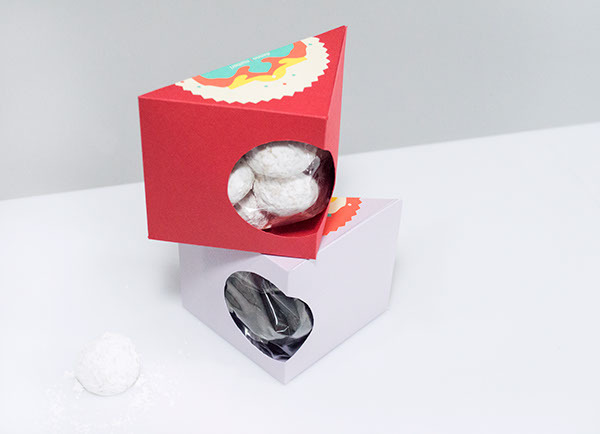 For the final project, I chose to collaborate with my roommate, Micha Bentel, master chef and RISD ID student, to create packages for her fictional Italian-American bakery, Farina di Micha. 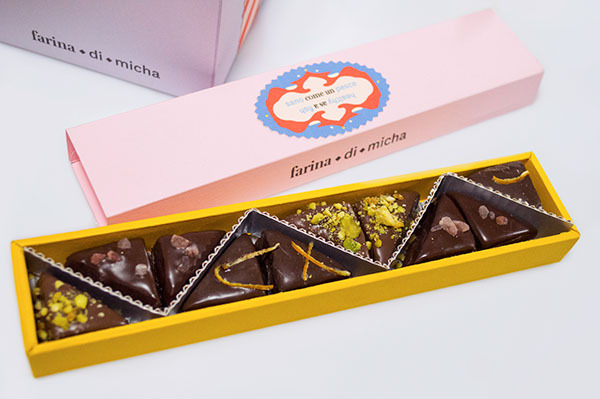 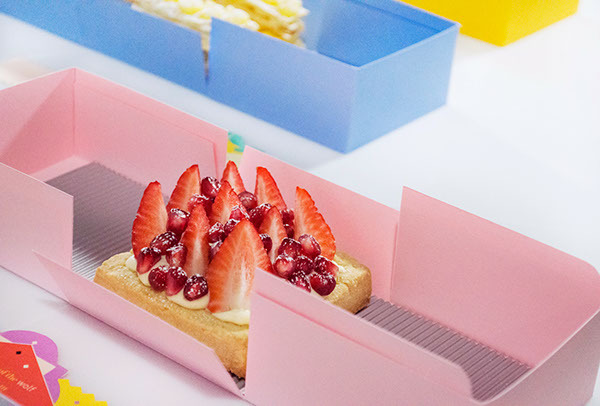 Client Brief: Drawing upon Micha’s Italian roots and baking style, this bakery would sell newly-imagined Italian treats. 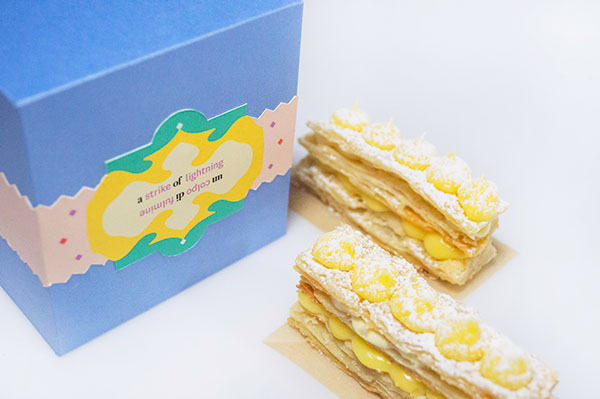 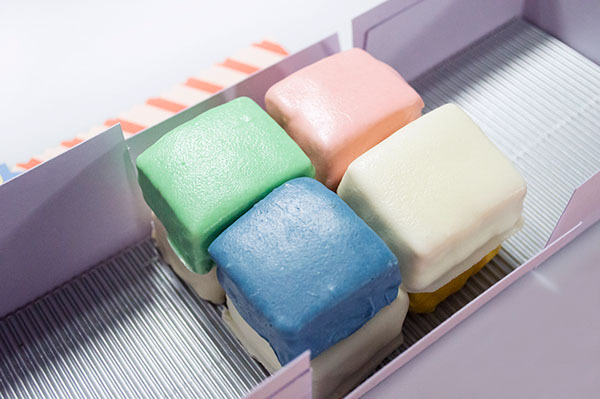 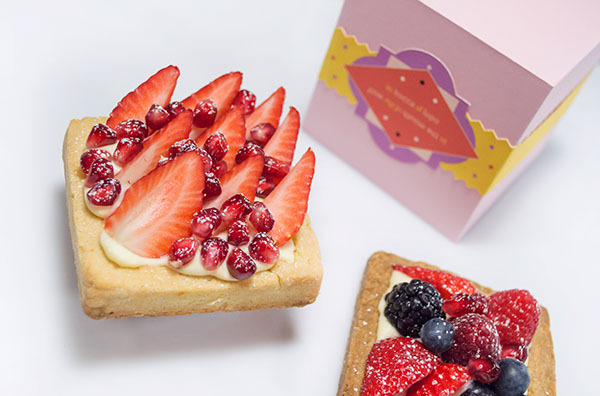 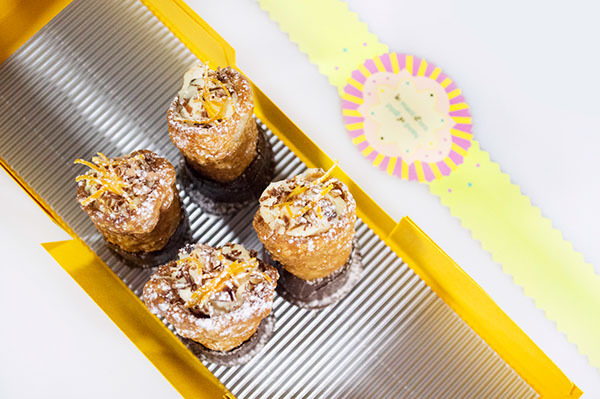 Traditional yet modern, the pastries themselves are colorful, fun, and unexpected. 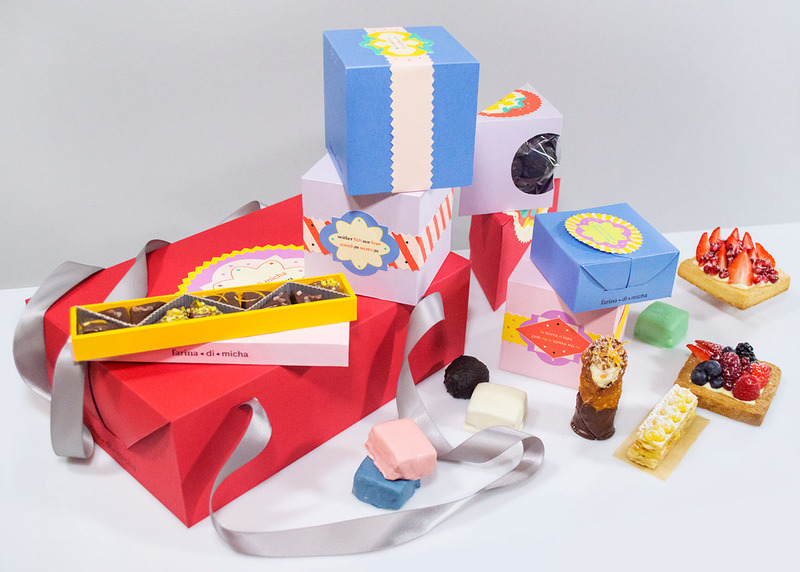 For the packages themselves, we wanted to maintain the duality of the desserts being both Italian and American by having labels with both English and Italian, and packages that opened in half, splitting the best of two worlds. 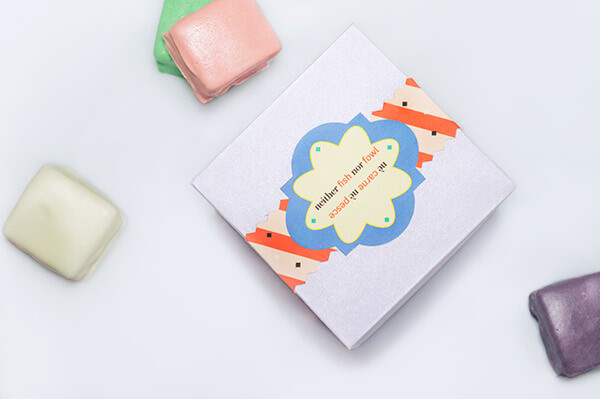 Created for Package Graphics, under the guidance of Aki Nurosi.